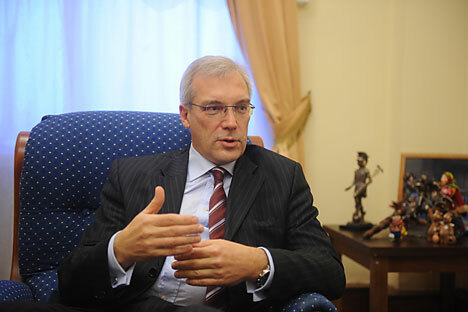 There have been no real official proposals on the resumption of the activities of the Russia-NATO Council (RNC) but the issue is being discussed; if a session is convened, it should be thoroughly prepared, Russian envoy to NATO Alexander Grushko has said. "We have not officially received [a proposal], but we are constantly discussing it in our contacts with other NATO representatives who belong to RNC, considering it from various angles," he said during a TV linkup with Brussels. "The Secretary General is right in saying that RNC continues to exist as an institution but given the current situation at NATO, if it is decided to hold such a session, it should be thoroughly prepared," he concluded.